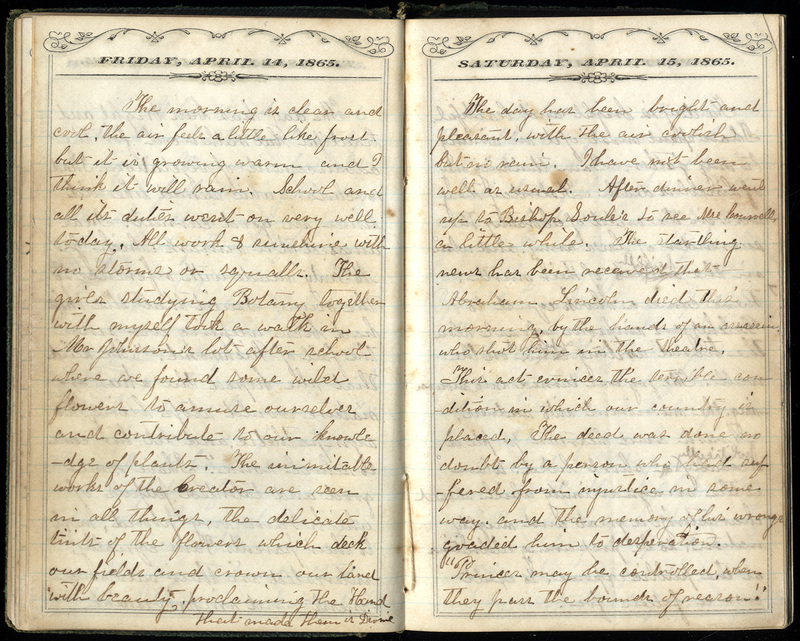 Abigail Brook, a teacher in Tennessee, recorded the events of her life from 1865 to 1870, including the end of the Civil War and the Lincoln assassination. Use of this item for research, teaching and private study is permitted with proper citation and attribution. Reproduction of this item for publication, broadcast or commercial use requires written permission.